In 2015 project eTUR2020 began, for which we have been subcontracted by Compartia to provide support in analizing gamification in the tourism sector, in designing gamification strategies and in researching emergent gamification standards in the sector. The first project deliverable in which we have worked with the consortia has been a study on Gamification in tourism, of which we want to share with you some of the most relevant aspects we have learnt: sustainable tourism gamification. Strengthens the economic sustainability of strategies for customer loyalty. Because loyalty is determined by the quality, perceived value and satisfaction, gamification strategies and technologies provide sustainable solutions that facilitate the collection of behavioral data and customer perceptions during the experience. Enables new incentives and rewards to involve the customer in the brand recognition, designing reward mechanics that play along with the customer as their level of loyalty increases, starting with quick and easy incentives that appeal to their extrinsic motivation and ending with rewards and awards related to interaction with the brand and his status, which appeal to their intrinsic motivation. Improves interaction with and among tourists through mechanics that involve customers in social interactions, improving visibility of organizations and brands on social networks. This also helps positioning as a local actor with influence on the community. The biggest benefit is economic. Loyalty programs are one of the 4 most important reasons for brand selection and an increased loyalty determines an increase in overnight stays, service consumption, cash flow and visibility of the organizations. This facilitates a more comprehensive and coordinated promotion, product development and more advanced services and, therefore, greater market penetration and the ability to offer higher or Premium prices. Gamification in HR is primarily used to create a fun and motivating environment with the aim of stimulating the following three dimensions: the search for talent (employer) or job opportunities (candidates), increase the assimilation of knowledge and skills of employees and increase productivity levels and analysis of the employee’s activity. This facilitates the creation of an educated, ethical and playful environment on which to build a transparent relationship with customers and other stakeholders. Although difficult to quantify, the tourist experience can be influenced indirectly by the gamification of HR activities, since the organization can improve social capital and provide higher quality services. The first objective is to improve equal opportunities, the number and quality of local employment, including wages, conditions of service and availability without discrimination, because Gamification helps focus HR practices to performance. When employee training is given in underdeveloped populations, this improved capital spreads to the rest of society. In this regard, although the training is pro-business, considering a higher level of learning environment it is desirable to allow personal development, a case on which gamification helps generate intrinsic motivation to learn and progress. Gamification of search and selection of candidates enables organizations to introduce the values of the brand in the mechanics as well as the use of games to focus the process of recruitment in the intrinsic pleasure of working in the tourism sector. Monitoring and stimulation of activity and productivity through gamification is the trickiest issue and can generate more ethical questions. Although gamification itself is the use of technology to persuade, the line between using it for persuasion to engage and the exploitation of workers can be very thin. The negative result may be that the perception that tourists have about the experience can be negative if they detect abusive practices on employees from the organizations providing services. Since the interests of organizations of tourism services and destinations resources can -and often- conflict, it is necessary that local communities have a voice in the development of the service. In this sense, gamification can help tourists become aware of the need for balance in the use and consumption of resources between them and local residents and facilitate education in responsible consumer habits: improve the efficiency of local resources through information, improve the management of tourist flows, improve the interaction between tourists and residents and prevent the physical degradation of the environment. Social interaction, cultural understanding, sustainable habits and increasing the quality of life for both tourists and residents are the main objectives. The engagement should be aimed at encouraging tourists to do new activities or visit new destinations and in turn acquire new habits. The benefits of using gamificación focus on marketing, improving engagement before, during and after the experience. This results in a greater number of inbound and outbound tourists at the destination, greater visibility, greater interaction in social networks, faster feedback and increased loyalty. Focus on intrinsic incentives involving tourists in activities that give them self-esteem and social recognition: write honest opinions, reduce water consumption, etc. Extrinsic incentives should be a complement to intrinsic incentives, providing more reasons to achieve the goal of the activity. In the case of cultural organizations such as museums, gamification is an opportunity to attract new visitors, improving the learning experience and facilitating access to points of interest. As we have seen strategies for tourism gamification can -and should in our opinion- involve destination local communities: economic, social and environmental benefits are very high and necessary. We recommend the full reading of Negruşa et al. 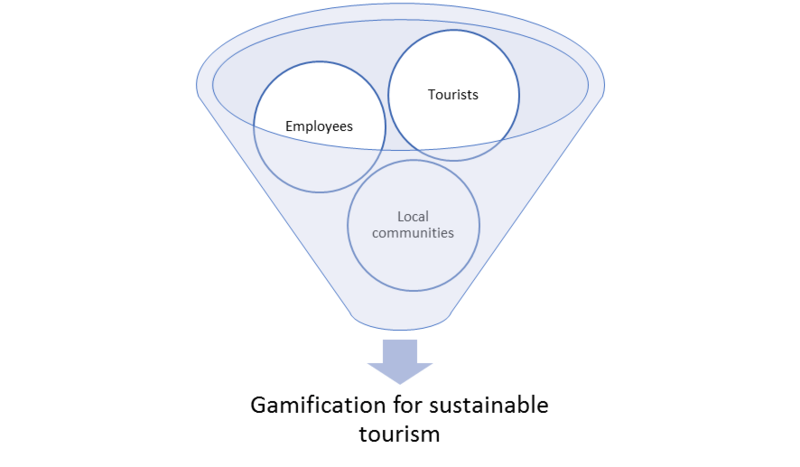 paper (2015) on gamification for sustainable tourism, which luckily for all is open access! In the future we will share more of our progress in eTUR2020 and other projects, stay tuned! 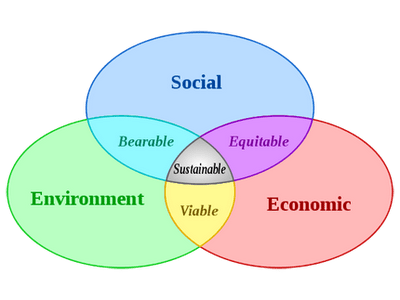 This entry was posted in Gamification, Tourism and tagged etur2020, gamificación, Gamification, sostenibilidad, sustainability, tourism, turismo. Bookmark the permalink.